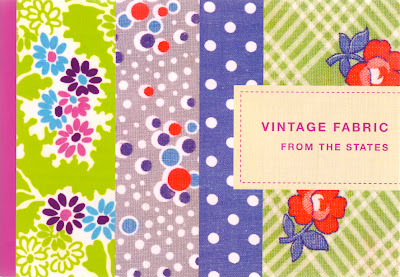 Vintage Fabrics from the States is another beautiful publication from Pie books of Japan. It’s just page after page of gorgeous prints. I love how you can see the texture in the fabrics and the slightly off-register printing of these simple designs. I think it’s these little imperfections as well as the cute imagery that makes these prints so endearing. These are a few of my favourite patterns, and of course living in Holland I had to include some a Dutch design.